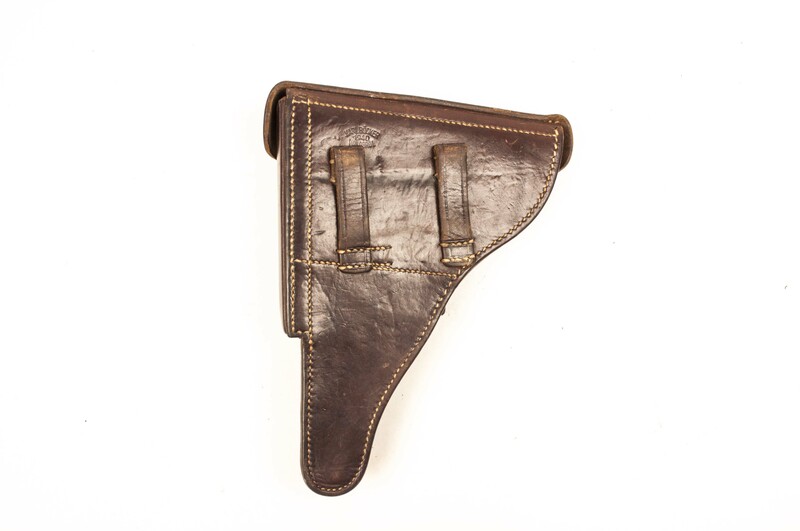 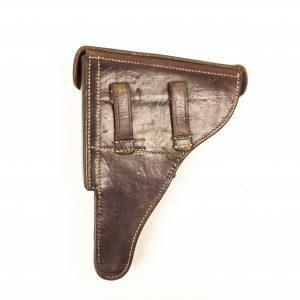 Home / Militaria Reference / Field equipment / P08 holster – Hardshell – Karl Böcker, Waldbrol 1940. 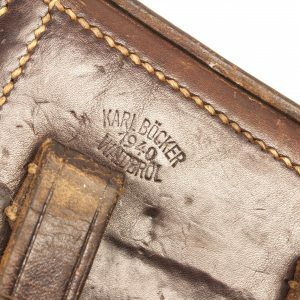 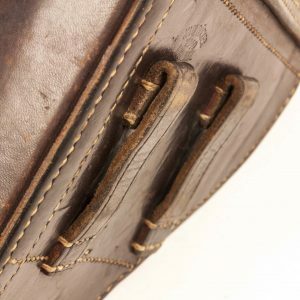 P08 holster – Hardshell – Karl Böcker, Waldbrol 1940. 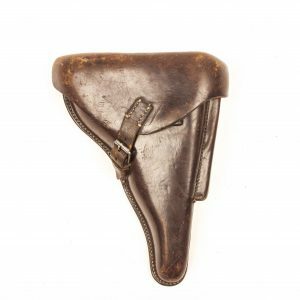 During the war the Germans produced, captured and reissued many different pistols to their troops. 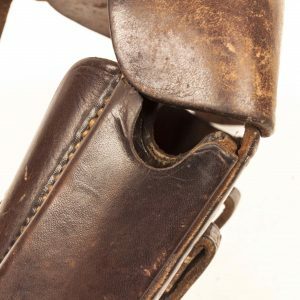 Most if not all pistols had specific holsters and some pistols even had multiple kinds of holsters. 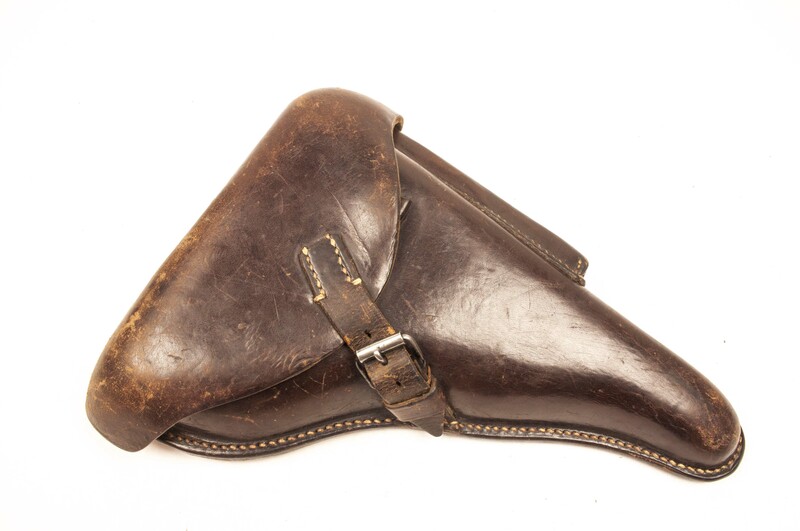 Captured pistols where sometimes even fitted with new, German made holsters during the war. 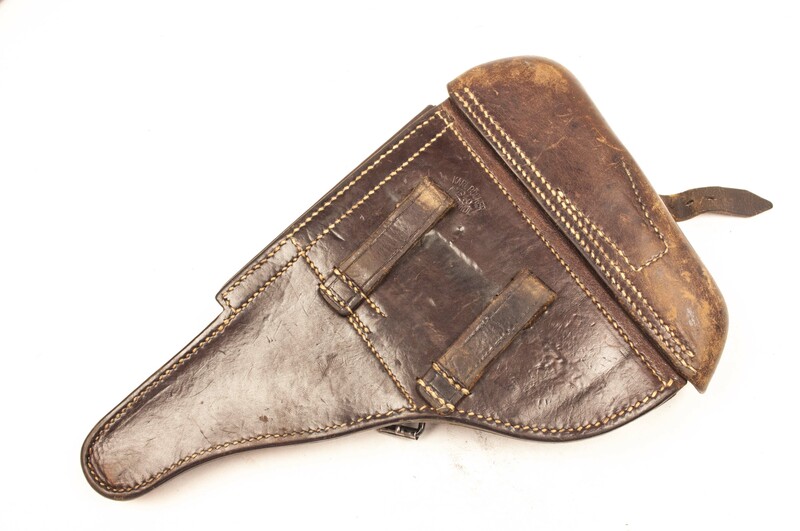 The standard pistol in the German army was the P.08 which in 1938 was replaced by the P.38. 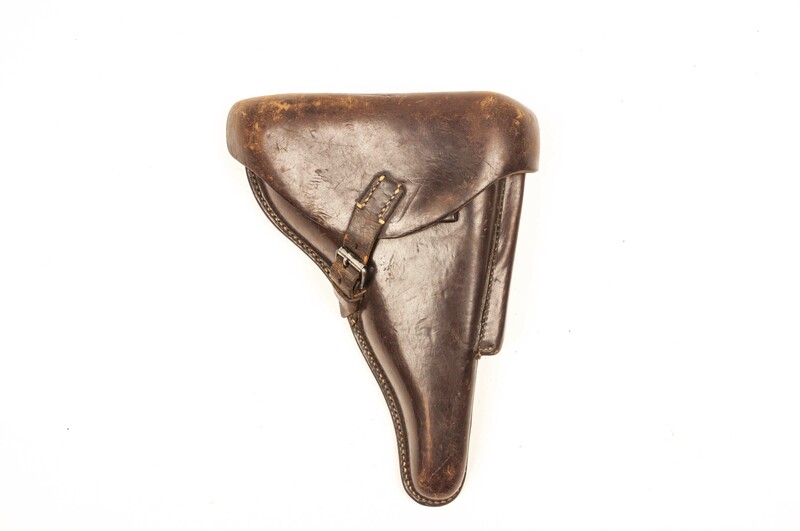 The P.08 was replaced but remained in production until 1945 by Krieghoff. 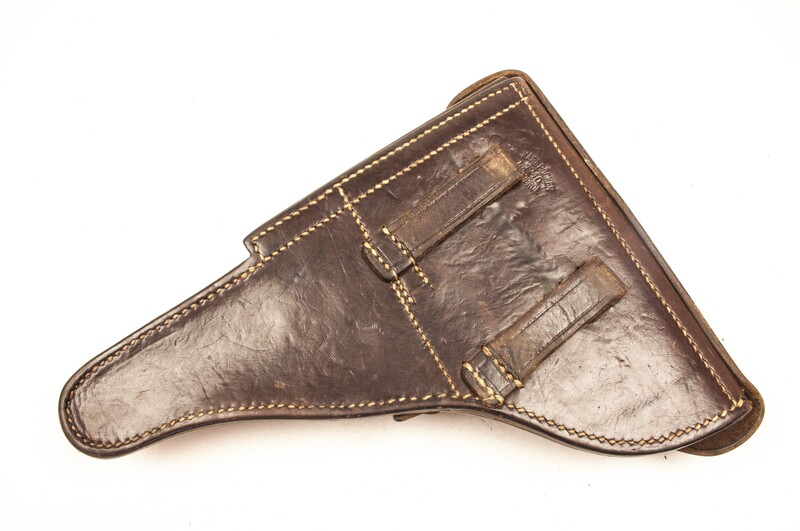 The Walther Pistole 38 (P.38) pistol was first introduced in 1938 as a replacement for the P.08. 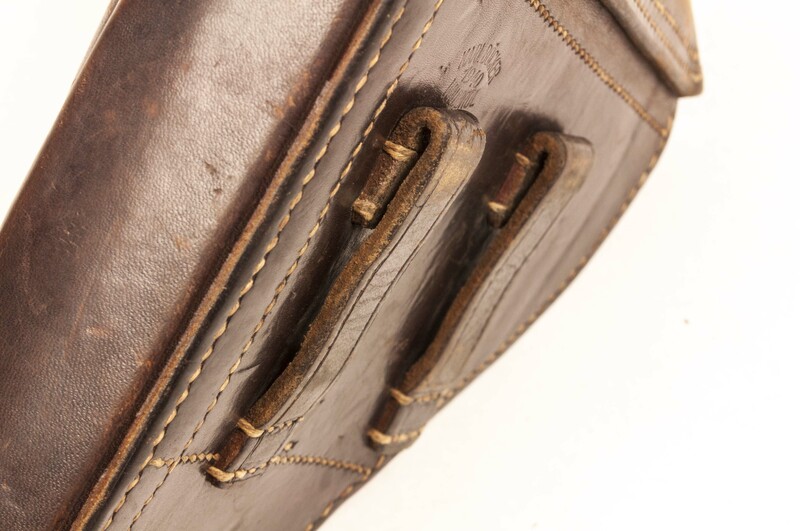 The P.38 was a more cost-efficient and more reliable in war conditions such as mud and rain. 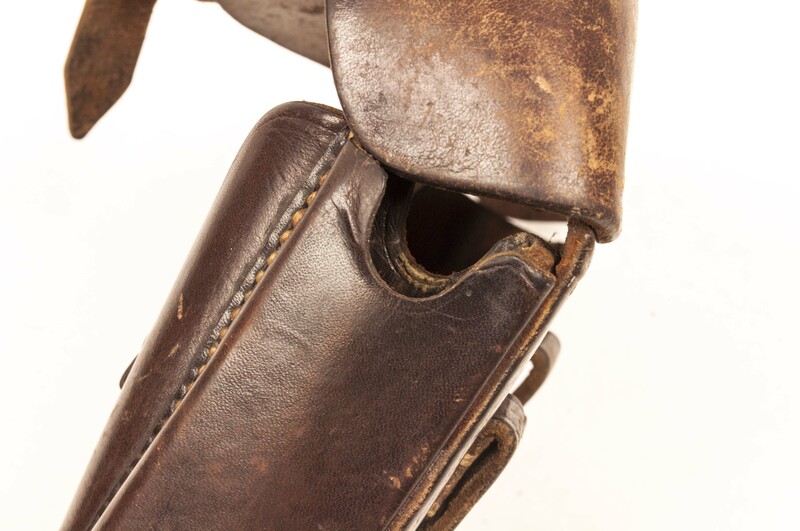 The P.08 was a typical prewar German gun, over engineered to perfection with a sensitive toggle breech system that would malfunction when dirt was involved. 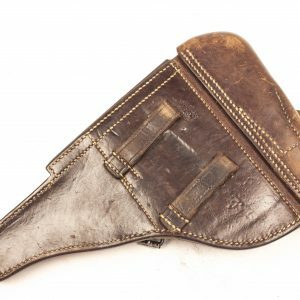 The P.38 was a workhorse that did just what it was meant to do. 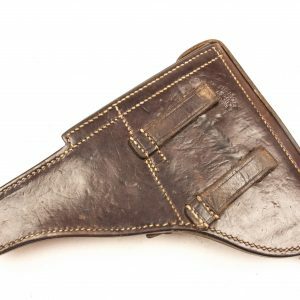 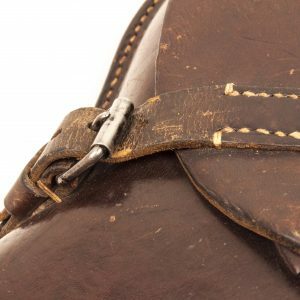 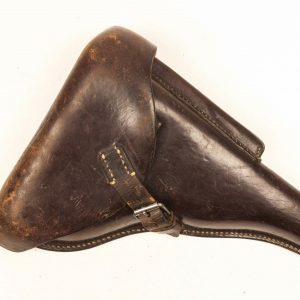 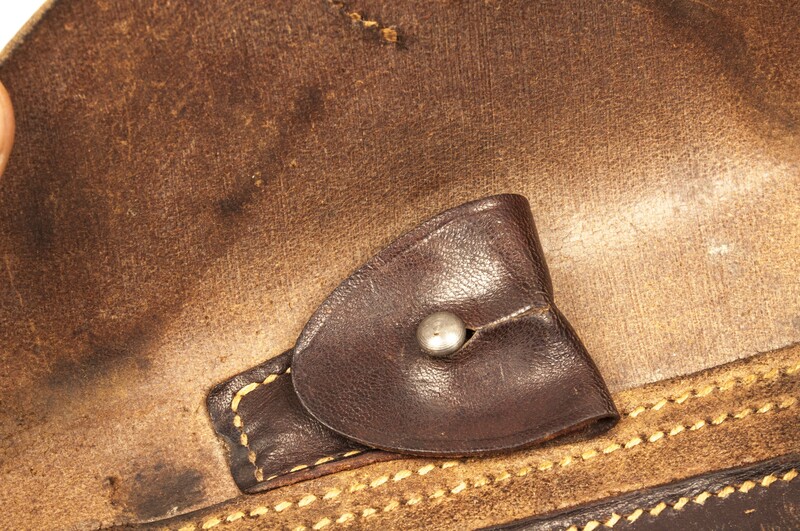 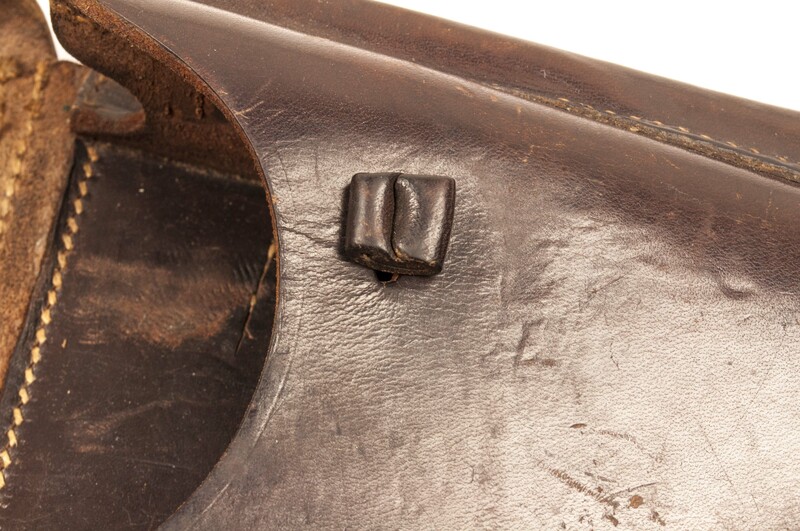 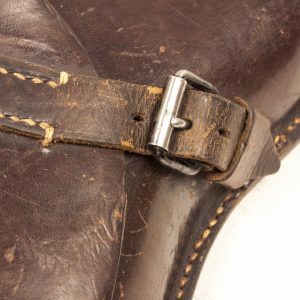 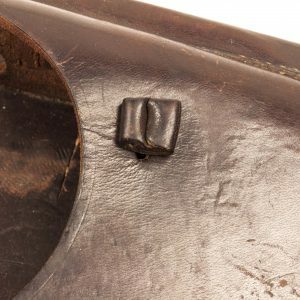 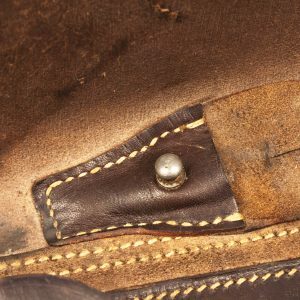 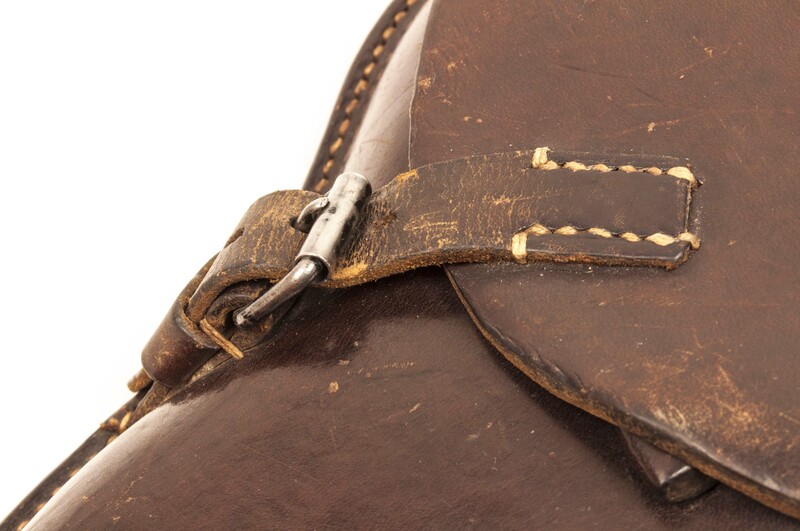 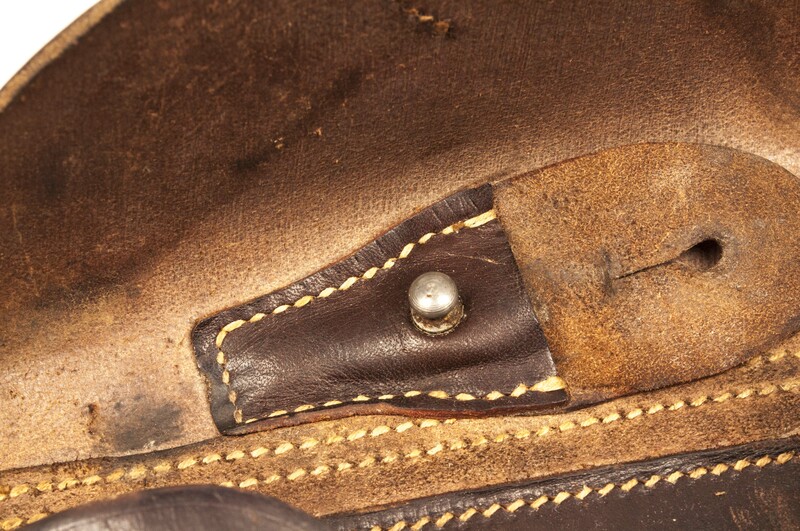 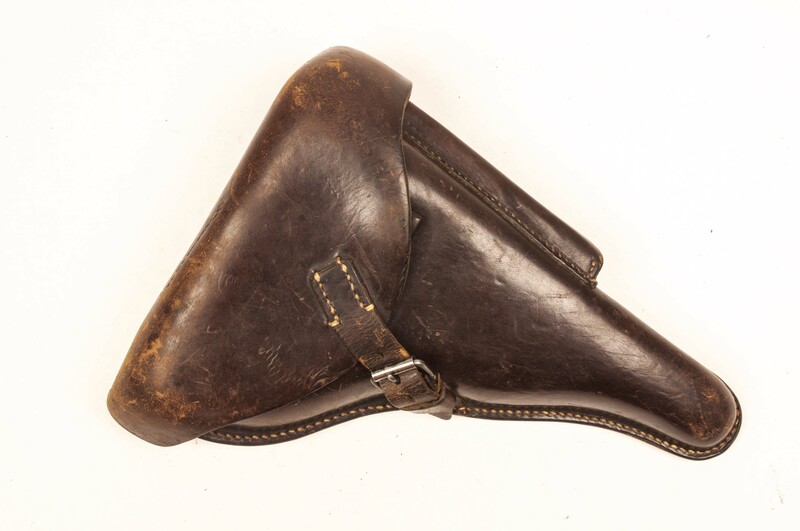 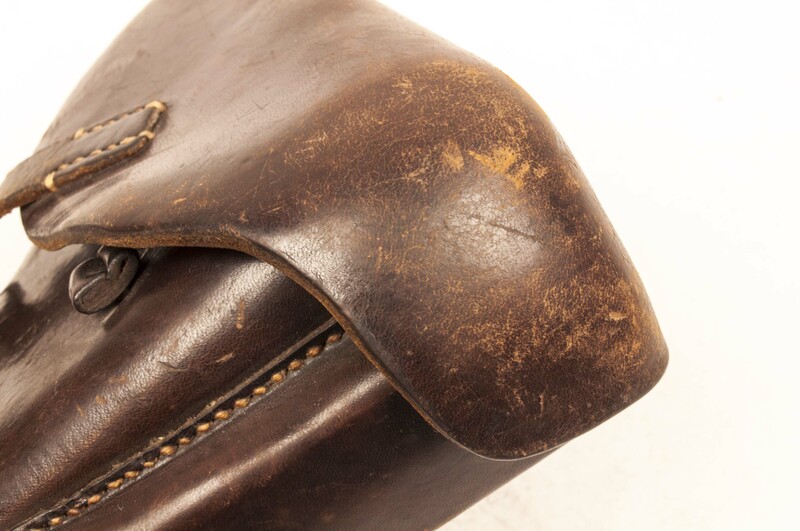 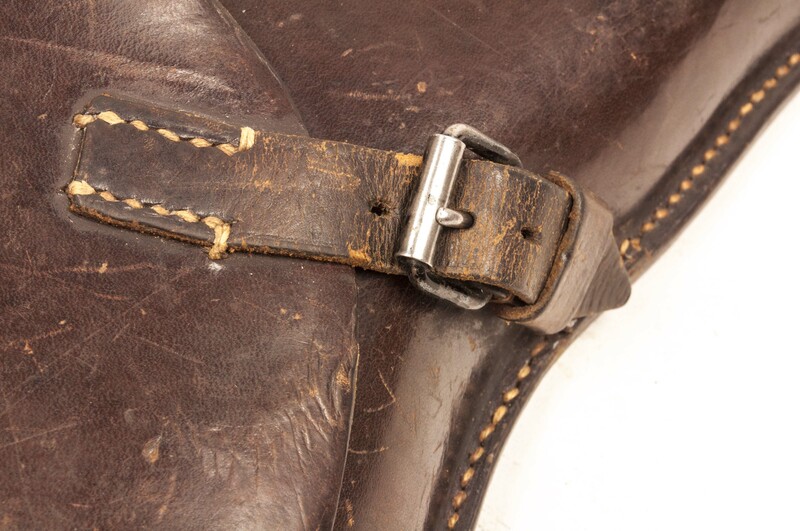 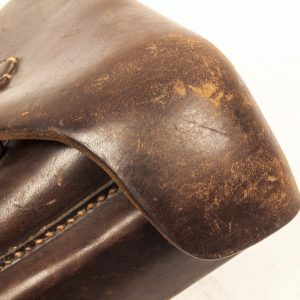 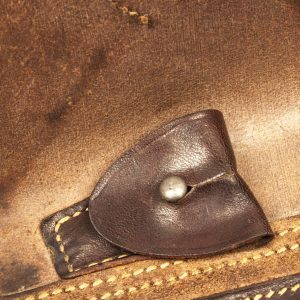 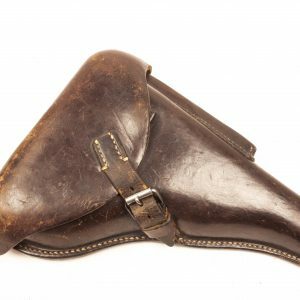 It could handle most harsh battlefield conditions and as such the closed hardshell holster was discontinued later in the war and replaced for a open softshell holster. 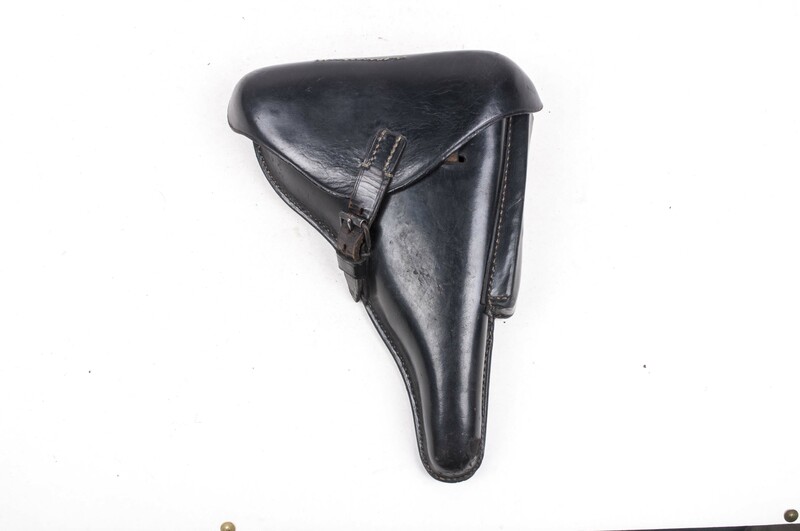 During the war 990.080 P.38 pistols where produced by Walther, Mauser and Spreewerk. 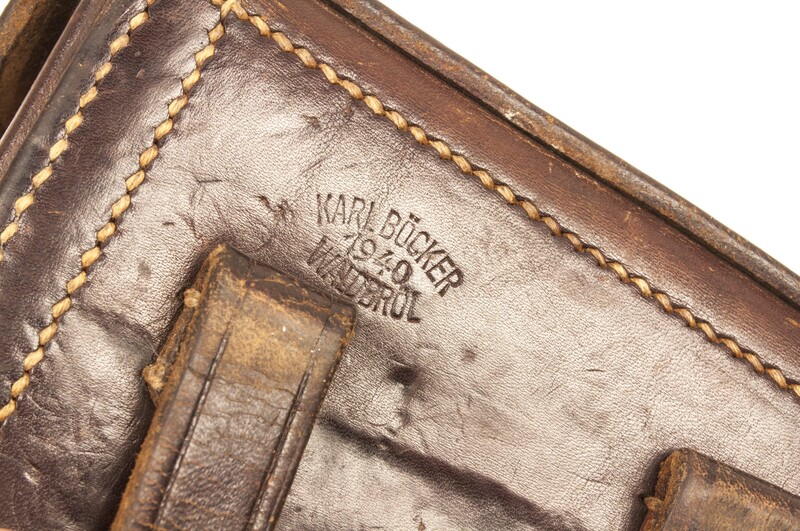 Markings: Karl Böcker, Waldbrol 1940.